Fifty boxes from the Women Beyond Borders exhibit were used as part of an international women’s trek to Nepal in March of 1998. The purpose of the trek was to facilitate communication and understanding between an international group of women and Nepali women by using the boxes as a universal, non-verbal tool for sharing the common visions, hopes and experiences of women throughout the world. In my work as a nurse-anthropologist I have had many opportunities to meet and work with women and women’s groups throughout the world. Over the years I have attempted to share these profound experiences with my friends. But, I have realized that mere words cannot possibly convey the emotions of meeting with women in their villages and seeing the struggles and joys that they face in their daily lives. My recent work has focused on the impact that being a member of a women’s group has on women’s lives. As a result of this work we at the Pacific Institute for Women’s Health are advocating women’s organizations as a vehicle for women’s empowerment, in addition to the conventional strategies of primary education and access to economic resources. We feel that women’s organizations should be supported by the international development and donor community as a strategy for empowerment and to enhance the status of women. 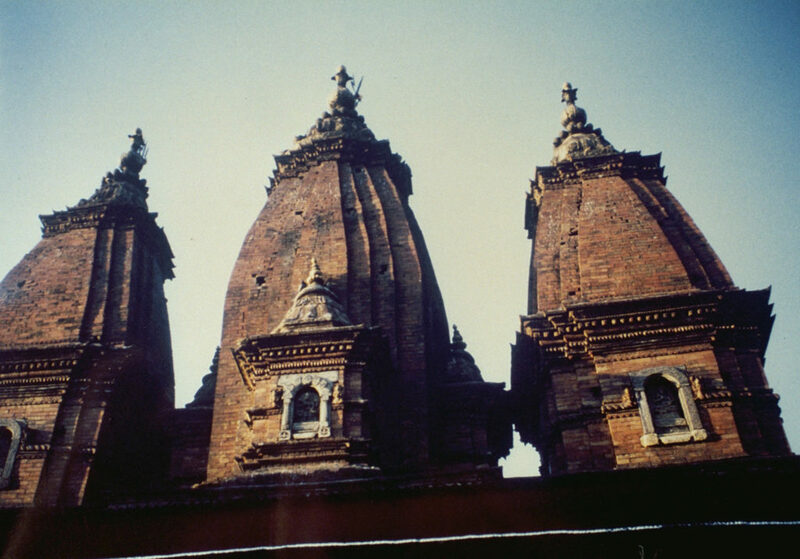 I invited a select group of my friends (approximately 15 from Europe and America, representing six nationalities) to join me on a trek to Nepal in March 1998. We met with local Nepali women’s organizations, both in Kathmandu and during a five day trek. Each day we visited another village and met with local women’s groups. How can we (in spite of our multiple language capacities) communicate with these women? Although we had two educated Nepali women with us, communication, especially personal communication, was not easy. Therefore, my desire to use the exhibit, Women Beyond Borders, as a tool to facilitate communication. 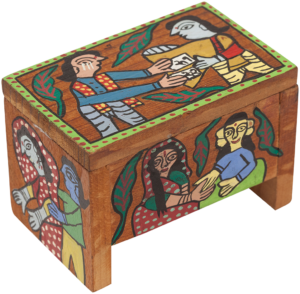 The universal language of art and the themes so vividly depicted by the boxes unite women across and beyond borders. The capacity of these boxes to “share the visions, dreams and hopes of women around the world” will enabled us to establish immediate rapport with our hosts.